So what do you do when your Thanksgiving leftovers are all gone but yet you still have leftover ingredients in your fridge? Leftovers from leftovers? Ugh! This happens to me all the time when I’m cooking. Really, unless you are making a parsley pesto, who ever needs more than a few tablespoons of parsley? Yet you can only get a big bushel in the grocery store. I hate throwing out herbs but it happens all the time. I’m sorry. I hate to say it, but it’s true. I refused to do it this time and sat down specifically looking for a recipe that I could use these herbs in. 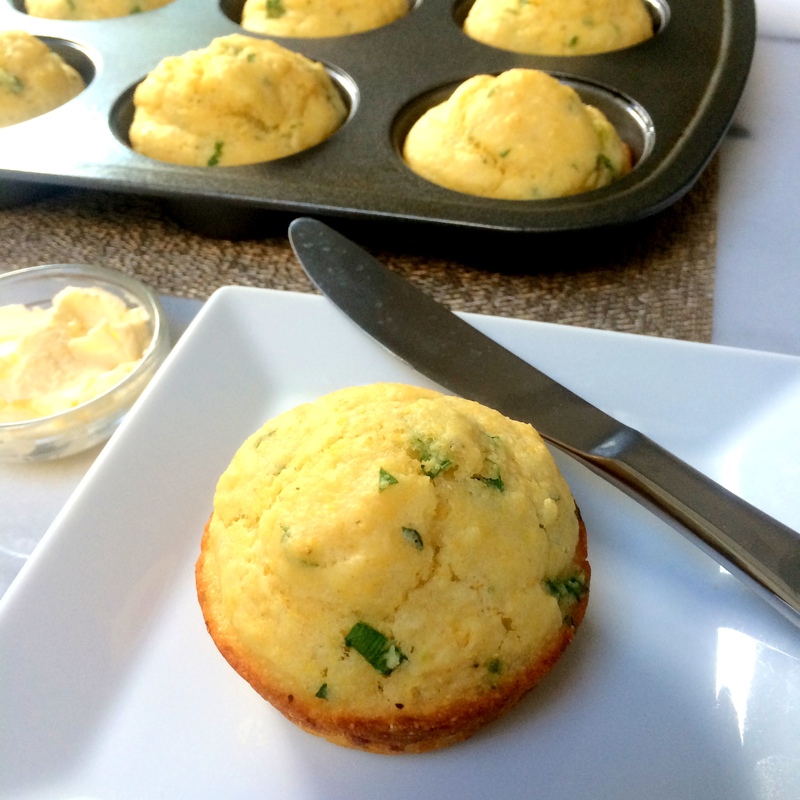 Thank goodness for these Herbed Corn Muffins. Preheat oven to 400°F. 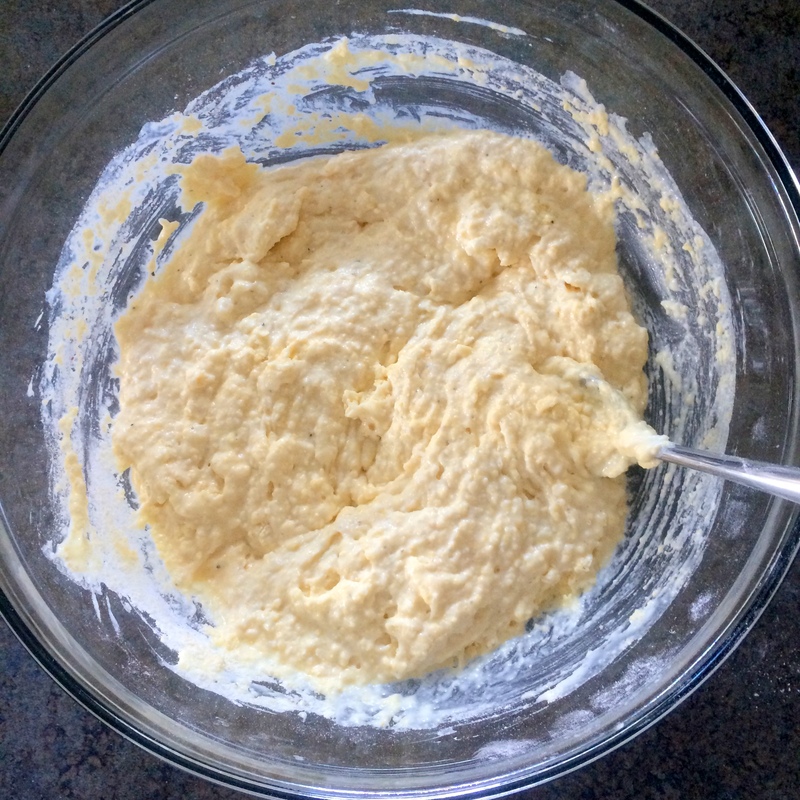 Combine buttermilk, olive oil, and egg; stir well with a whisk. 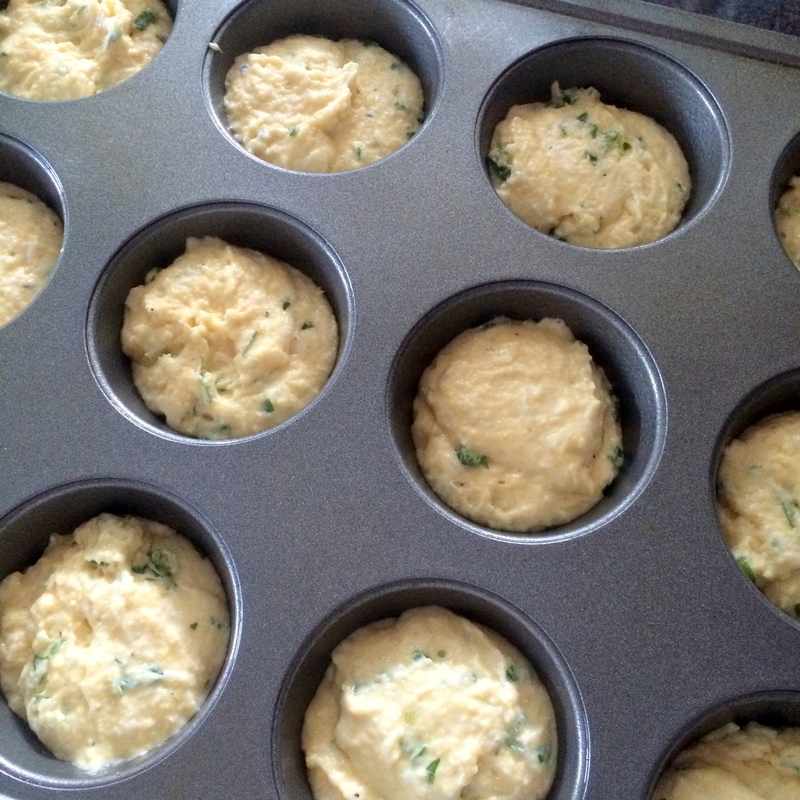 Weigh or lightly spoon flour into a dry measuring cup; level with a knife. 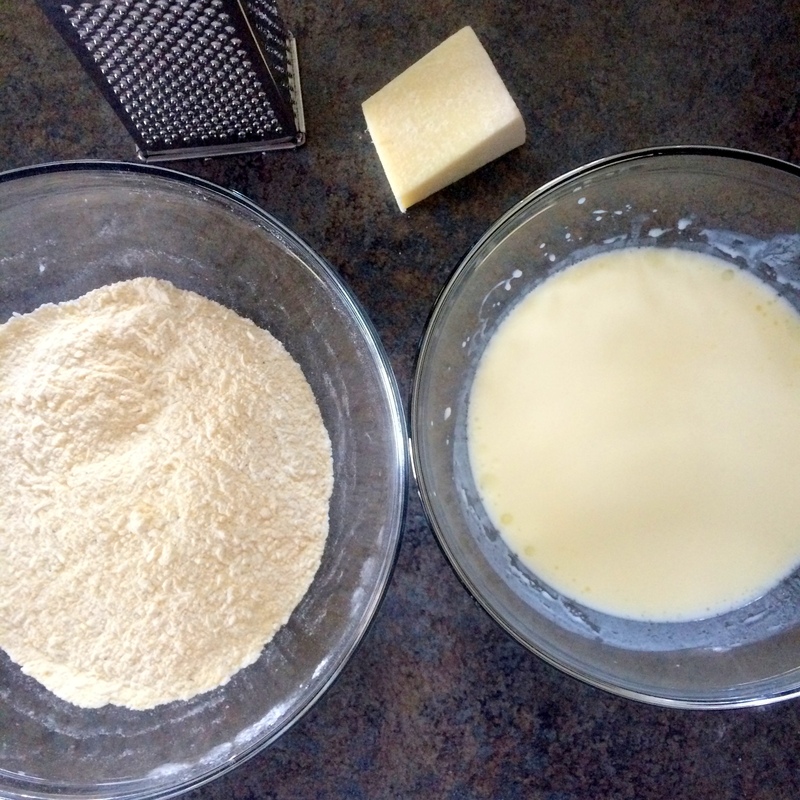 Combine flour, cornmeal, sugar, baking powder, baking soda, salt, pepper, and pecorino Romano cheese in a medium bowl, stirring well with a whisk. Make a well in center of flour mixture. Add milk mixture, and stir just until moist. 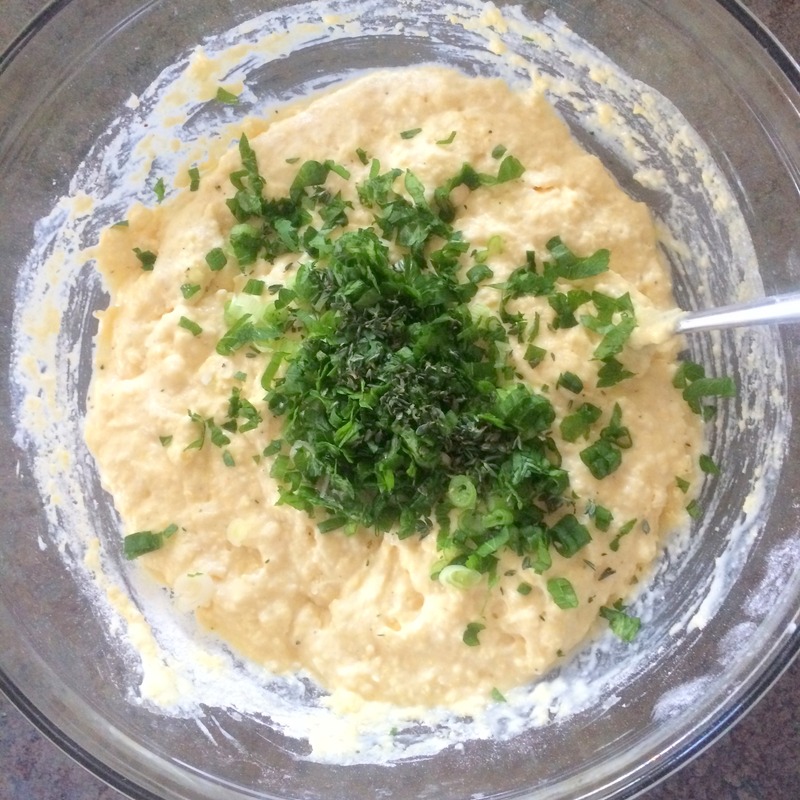 Gently stir in green onions, parsley, and thyme. 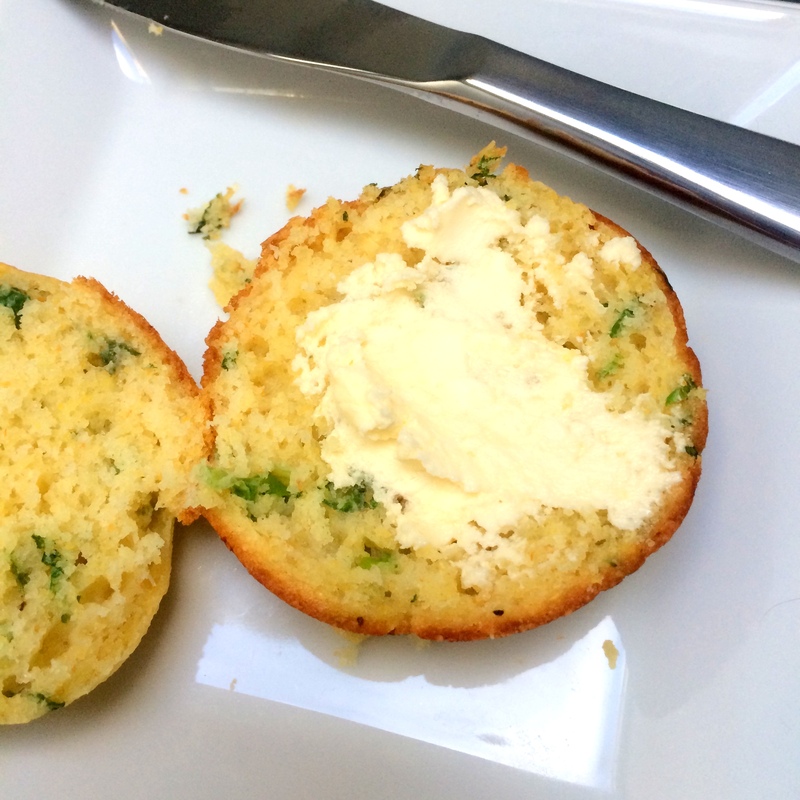 Spoon into 12 muffin cups coated with cooking spray. Bake at 400°F for 13 minutes.